Frustrated whenever your favorite program slides off the Start menu? Wish you could make the Start menu icons a tiny bit smaller? And what about swapping the “Shut down” button with, say, “Restart”? Read on for six of my favorite Start menu tweaks. To change what the “power button” does, right-click the Start menu button in the Windows taskbar, select Properties, click the drop-down menu that’s labeled “Power button action,” and make your choice. You can keep specific programs and documents in the Start menu by "pinning" them there. Want a specific program or a document to always appear in the Start menu, even if you don’t use it that often? Just “pin” it. By default, the Start menu is restricted to showing the latest 10 programs, documents, and other items you’ve opened on your system. Want to make the list longer, or shorter? No problem. Again, right-click the Start menu button, select Properties (we’ll be doing this a lot, but the way), click the Customize button, go to the “Start menu size” section, and change the number in the box labeled “Number of recent programs to display.” You can also adjust the number of “Jump Lists”—that is, the secondary menu of actions that appears next to recent items in the main Start menu—while you’re at it. Seeing all your recently opened programs and documents listed in the Start menu sure is convenient, but it can also be a bit revealing—especially if you’re sharing your PC with others. 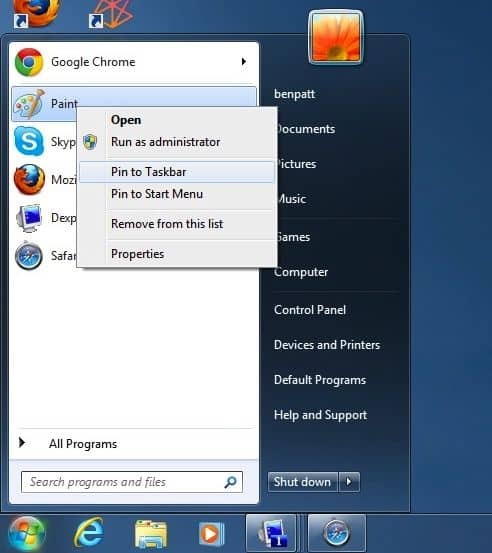 Luckily, keeping your recent activity out of the Start menu is easy. Wish the icons in the Start menu were a bit smaller? Done. Are the icons for recent programs and documents in the Start menu too big for your taste? No worries—just shrink ’em down to size. 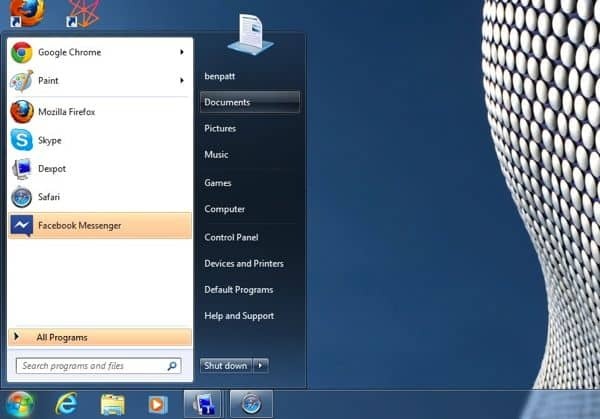 Right next to the list of recently-opened items in the Start menu is a column of quick links, starting with a link to your user directory and followed by options such as “Documents,” “Music,” “Control Panel,” and “Help and Support.” Click any of these links, and you’ll jump to the proper directory. Nice, but here’s the thing: like many things in Windows, you can tweak this column of links to your heart’s content. Right-click the Start menu button, select Properties, click the Customize button, and work your way through the long list of options. For example, you can display your Documents directory in the Start menu as either a link or a menu (the menu will appear when you hover over the link with your mouse), or you can nix it from the Start menu altogether. Have your own Windows tips to share? Post ’em in the comments below.